Frankly I don't even like macaroni! That is to say, not the shape we call macaroni in Holland, the tiny hollow half round pipes, "elbow-macaroni". 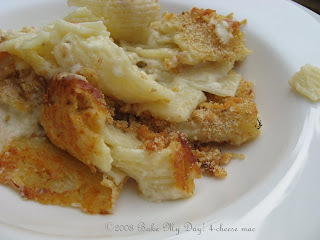 As a kid I loved macaroni, easy to swallow, easy to eat (just need a spoon). As a grown-up: not so much, I think it's just too soggy, not enough bite there. We never had macaroni and cheese in our family, my mom made a great pasta sauce; tomato based and filled with ground beef (or in the early days: Smac! remember Smac?) and lots of fresh vegetables. 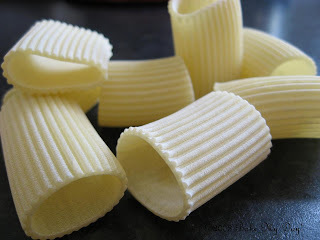 Cooking and living by myself I discovering all kinds of pasta shapes and never looked back. The tomato based sauce with fresh vegetables however is still a favourite in this house although they do like the other sauces I make. This one was frowned upon, until the smells from the oven were permeating the house... When I called "dinnertime! ", they came running! Now for the recipe, I could of course spin a tale of going to my specialized cheese shop, selecting excellent cheeses, just right for this particular sauce... Alas, the truth is less tantalizing. Dinnertime was nearing, this was the pasta I wanted to use and I had a selection of different cheeses in my fridge, fresh herbs in my garden. Simple as that.... flavour is not, it's rich, complex, very satisfying and oh yes easy to make but don't tell your guests. Cook your pasta on the short side of al dente, as it's biding it's time in the oven it will soften up considerably, so do leave some space for that. - Melt butter and olive oil in a saucepan over low heat. Add flour and whisk until combined. 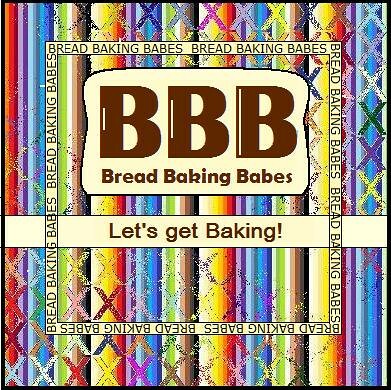 Be patient, keep whisking, the flour needs some time to "bloom" and get fully done. Watch for colour (from white to light yellow NOT beige or brown!) and bubbles. Approx. 1 minute. When the mixture is softly blubbing add a good part of the milk in a slow steady stream while whisking like crazy, you don't want any lumps there. Your stirring will result in a smooth and thickening sauce in approx. 2 minutes. I do increase the heat here to medium because I'm either daring or impatient. Add remainder of the milk, stir and wait for it to come to a boil. Play with your heat, keep stirring frequently. Season to taste. - In the meantime boil pasta to a bare minimum of al dente. - Now, either on low heat or off the heat completely, add 3/4 mozzarella, 3/4 aged Gouda, and the all other cheese plus thyme. Let melt completely, sauce will thicken and stir to combine the total. Grease a rectangular ovendish and fill with pasta, pour sauce over pasta, gently pushing pasta aside to let sauce seep in and cover every shape. Bake in a preheated oven 190C for about 30 minutes, or until golden on top. Well, why would you need any more butter than that with all that cheese! And speaking of cheese: yes I would guess this would be velvety! Holy cow yes! This looks really easy. The blend of different cheeses sounds like it would be heavenly. Mmmmm, creamy & delicious. I love the selection of cheese your fridge holds. Can I come over for lunch? This sounds like it would be killer mac and cheese! Dit ziet er zo waanzinnig lekker uit! !